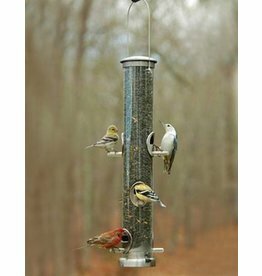 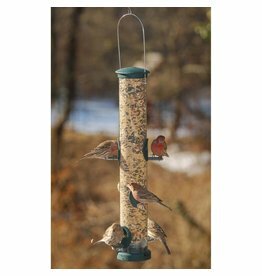 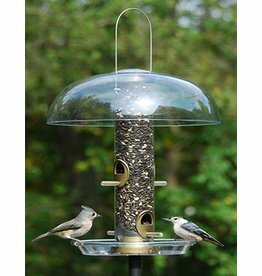 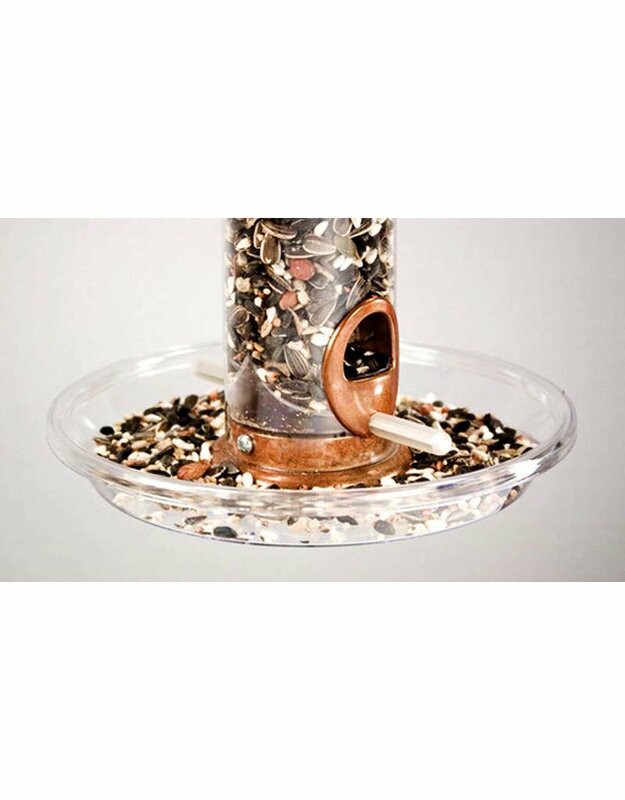 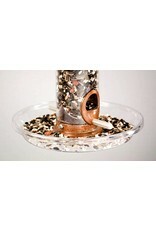 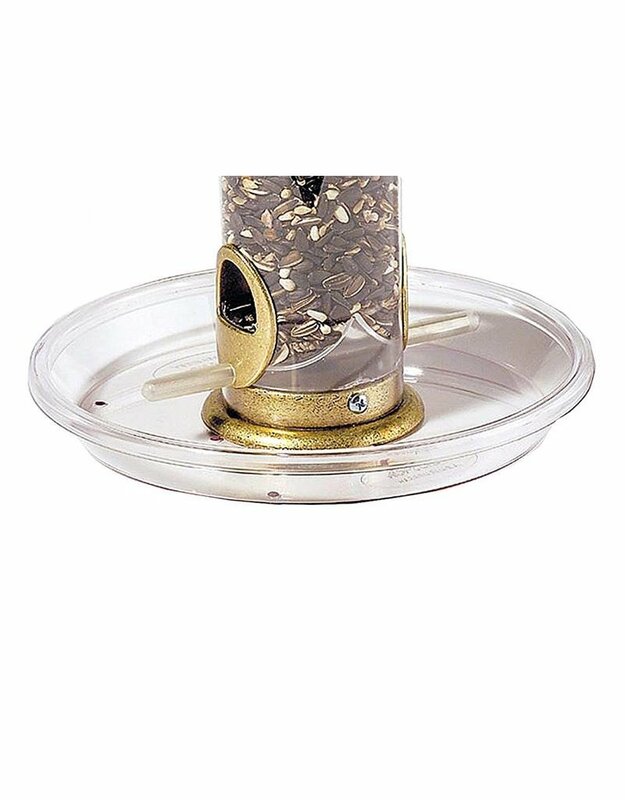 Aspects' Round Seed Tray works well on a pole-mounted feeder as well as on a hanging feeder. 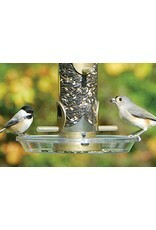 The Round Seed Tray catches falling seeds and allows more of the seed to be eaten, reducing debris underneath feeder. 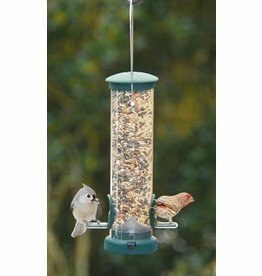 The tray is 8 1/2" x 1" deep and fits all Aspects’ 2 3/4" diameter quick clean feeders (All tubular feeders except 4" diameter Big Tubes). 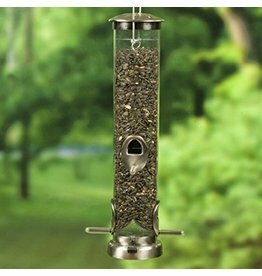 Attaches to feeder simply and quickly. Made of sturdy polycarbonate and backed with a lifetime guarantee.